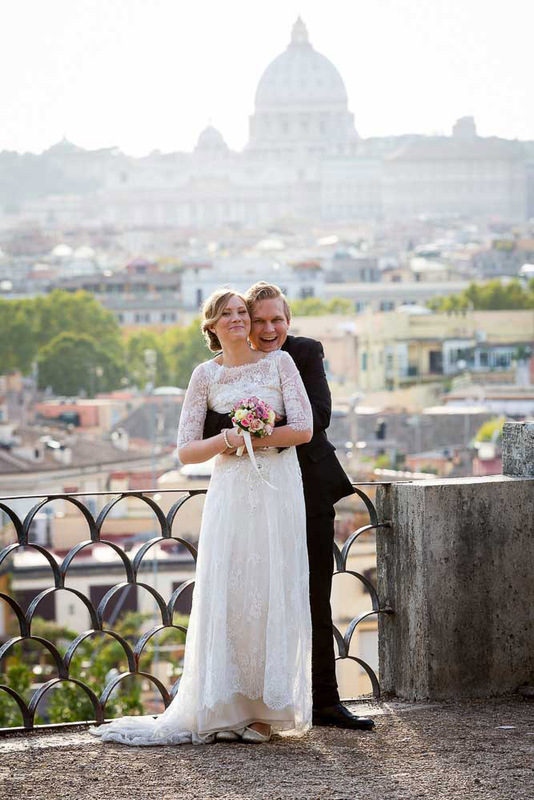 In the photos of Andrea Matone you can see our beautiful couple from Sweden, Stockholm. 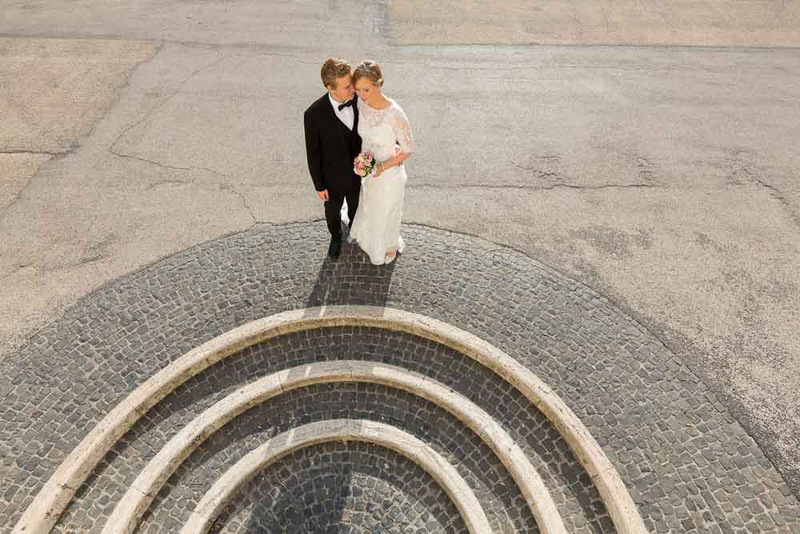 They chose Rome for its beauties, sights and marvellous weather as in Italy it’s easy to find great sunny and warm weather for a destination wedding. 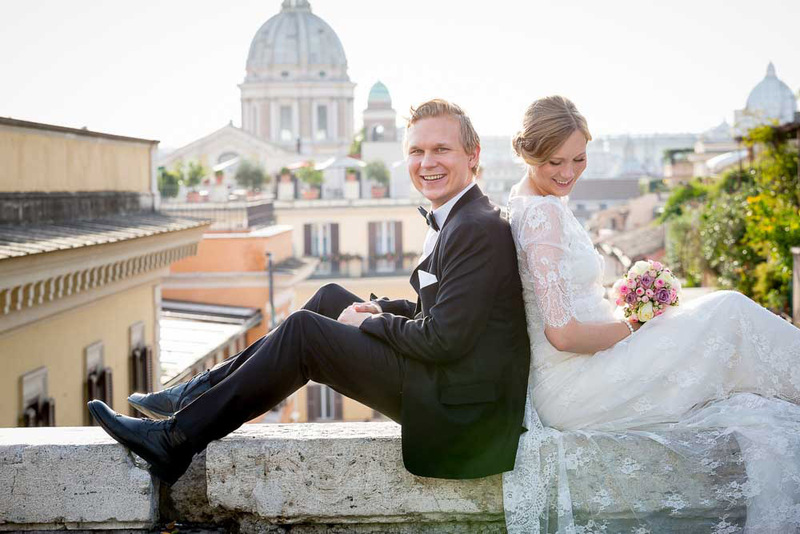 This amazing couple, Jon and Sofia, got married in Rome on the 17th october 2016. They are so sweet and in love with each other even after having been 6 years together! I always admire such couples. Sofia wanted a natural look for her make up, so I chose warm shades that accentuated her beautiful blue eyes. Then I did a soft updo with two plaits behind. They were without parents, as they both have very large families, but as you can see from the photos they really had a great time in Rome!